Final Verdict: Chuck Norris would say that’s Epic Win. Toughset did a good job on this. I like Blaze and Tails the most in this. Medic Eggman is definitely my fave. So diabolical no matter what role he’s playing. Muhahaha! 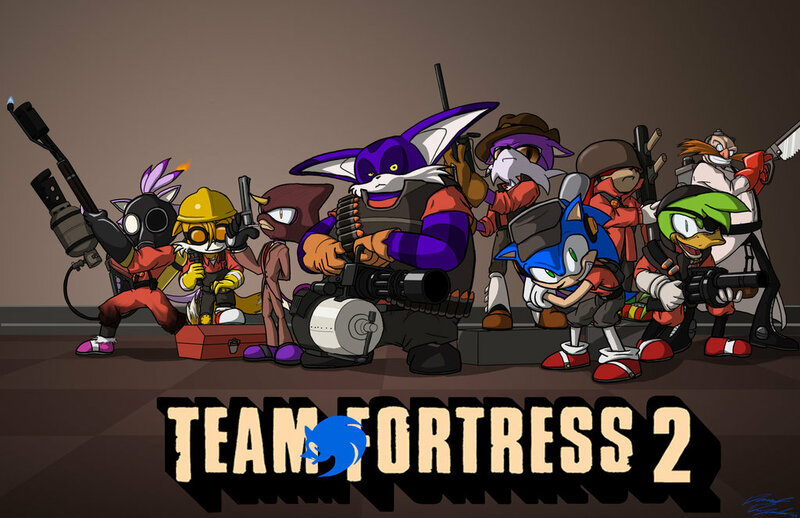 The thought of a Sonic/TF2 crossover makes me cringe, BUT this picture has spot-on character choices. but eggman holy S**t he looks AWESOME!!! i really love the fitting of the sonic caracters to team fortress caracters. I faved this just the other day, apparently he is attempting a left 4 dead one also. I figured that Eggman would be the Engineer, because of obvious reasons. But Medic is good. Herr Doktor indeed. A lot of effort was put into this picture. This picture is credit to Team. He’s am BIG HERO!! !